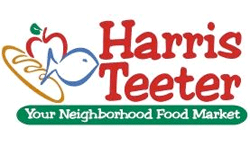 Take a look at all the best deals form the Harris Teeter Ad running 2/11 through 2/17. My favorites this week are Raisin Bran cereals for 49¢, FREE Plum Organics Greek yogurt tots, and FREE Betty Crocker Hamburger Helpers! Feel free to leave comment below sharing all your savings from this week and any extra deals you may find.